If you are like many computer users, you would frequently like to make changes in various text files wherever certain patterns appear, or extract data from parts of certain lines while discarding the rest. To write a program to do this in a language such as C or Pascal is a time-consuming inconvenience that may take many lines of code. The job is easy with awk. AWK was added by lunolas in Sep 2017 and the latest update was made in Sep 2017. The list of alternatives was updated Feb 2019 There is a history of all activites on AWK in our Activity Log. It's possible to update the information on AWK or report it as discontinued, duplicated or spam. Text processing tool with a powerful and easy to learn language. Alternatives to AWK for Windows, Linux, Mac, Haiku, BSD and more. Filter by license to discover only free or Open Source alternatives. This list contains a total of 4 apps similar to AWK. 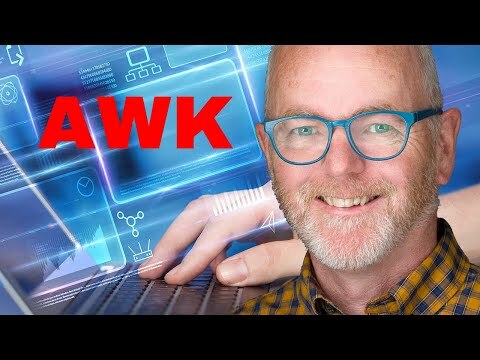 No reviews yet for AWK, want to be first? Maybe you want to be the first to submit a comment about AWK? Just click the button up to your right!